In professional typography the term typeface is not interchangeable with the word font, which was historically defined as a given alphabet and its associated characters in a single size. For example, 8-point Caslon Italic was one font, and 10-point Caslon Italic was another. Historically, fonts came in specific sizes determining the size of characters, and in quantities of sorts or number of each letter provided. The design of characters in a font took into account all these factors. 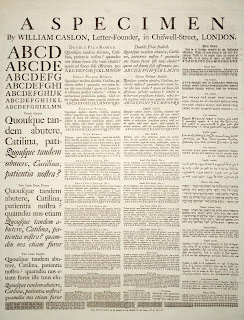 As the range of typeface designs increased and requirements of publishers broadened over the centuries, fonts of specific weight (blackness or lightness) and stylistic variants—most commonly "regular" or roman as distinct to italic, as well as condensed—have led to font families, collections of closely related typeface designs that can include hundreds of styles. A font family is typically a group of related fonts which vary only in weight, orientation, width etc., but not design. For example, Times is a font family, whereas Times Roman, Times Italic and Times Bold are individual fonts making up the Times family. Font families typically include several fonts, though some, such as Helvetica, may consist of dozens of fonts. The first "extended" font families, which included a wide range of widths and weights in the same general style emerged in the early 1900s, starting with ATF's Cheltenham (1902-1913), with an initial design by Bertram Grosvenor Goodhue, and many additional faces designed by Morris Fuller Benton. Later examples include Futura, Lucida, ITC Officina. Some became superfamilies as a result of revival, such as Linotype Syntax, Linotype Univers; while others have alternate styling designed as compatible replacements of each other, such as Compatil, Generis. the same family name for what would seem to be purely marketing, rather than design, considerations: Caslon Antique, Futura Black and Futura Display do not meet this criterion to be included with the Caslon and Futura families. Additional or supplemental glyphs intended to match a main typeface have been in use for centuries. In some formats they have been marketed as separate fonts. In the early 1990s the Adobe Systems type group introduced the idea of "expert set" fonts, which had a standardized set of additional glyphs, including small caps, old style figures, and additional superior letters, fractions and ligatures not found in the main fonts for the typeface. Supplemental fonts have also included alternate letters such as swashes, dingbats, and alternate character sets, complementing the regular fonts under the same family. However, with introductions of font formats such as OpenType, those supplemental glyphs were merged into the main fonts, relying on specific software capabilities to access the alternate glyphs.